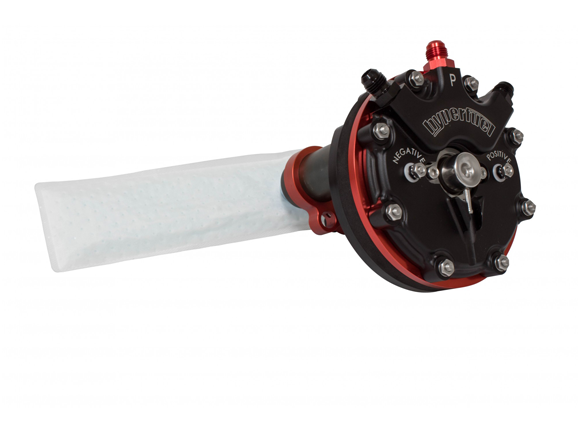 HyperFuel offers a solution to intank retrofit kits, the Hy-Fuel In-Tank Retrofit Kit. You can experience the advantage of a high-volume fuel system with the pump inside the fuel tank. This system can be used as a return or returnless system with the use of the built-in regulator. With the pump submerged in fuel, it will run quieter and last longer. With its multi-purpose ring and adjustable pump height, this is the easiest way to convert your existing or new fuel tank to an in-tank EFI fuel system. This system can be used in fuel tanks ranging in depth from 6” to 14.” Deeper tanks can be accommodated with an optional fuel pump extension kit. The In-Tank Retrofit Kit includes a 340 L/PH fuel pump and a built-in fuel pressure regulator pre-set to 58 PSI. System is suitable for up to 800 HP. 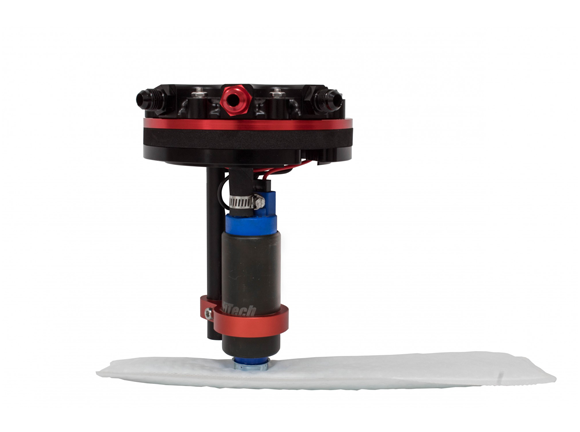 Installs in almost any tank with a depth of 6-inches to 14-inches to fit nearly any popular application. Low profile design for maximum clearance from bottom of the floor pan of vehicle. 35 square inch filter sock. Includes a built-in fuel pressure regulator and block-off plate so system can be run as a returnless or return style setup. 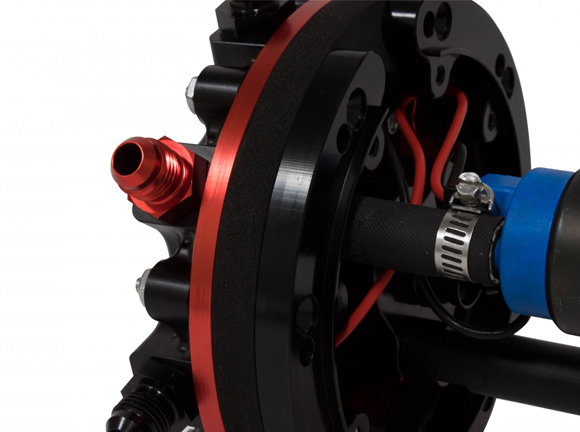 High quality 340 L/PH fuel pump for engines up to 800 HP.